"Wayne and Melanie, both from South Africa, had to go overseas to find their soulmates…which obviously is each other. 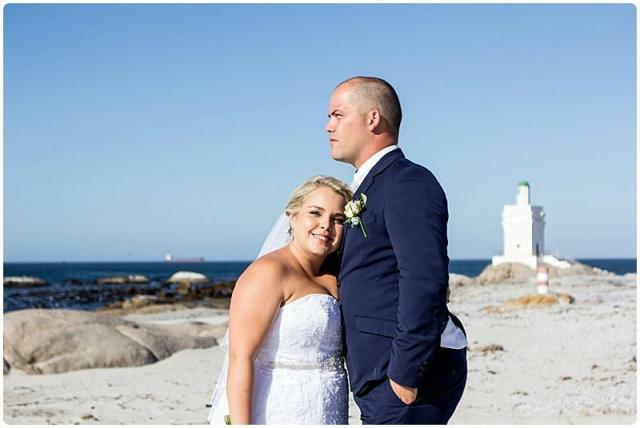 Well, they decided to formally make their love legal and fell in love with the beautiful venue right next to the waves, sand and rocks, Sea Trader. On arrival, I walked into a beautifully decorated venue and I just knew this was going to be a fun day of shooting. And indeed it was. What a fun couple and bridal party were they?! Up for anything. Thanks to you all for making my job so much easier. I had some great laughs with you all. Wayne and Melanie also made it so easy and relaxed to photograph them. Their love is so true and pure, and they are the greatest friend. So fun to watch and can’t help to smile each time they look at each other. My day with them ended on a high note with their reception. What a party. I’m sure the bridal party kept everyone entertained for the rest of the night."